I'm still clinging onto the whole SiFi thing, with rockets and stuff from the future. So it seams obvious that the next papercraft will also be about SiFi: The Robo Buddy! This little fellow is my first papercraft with functions, as it has not only adjustable joints, but also brings some tools with him. 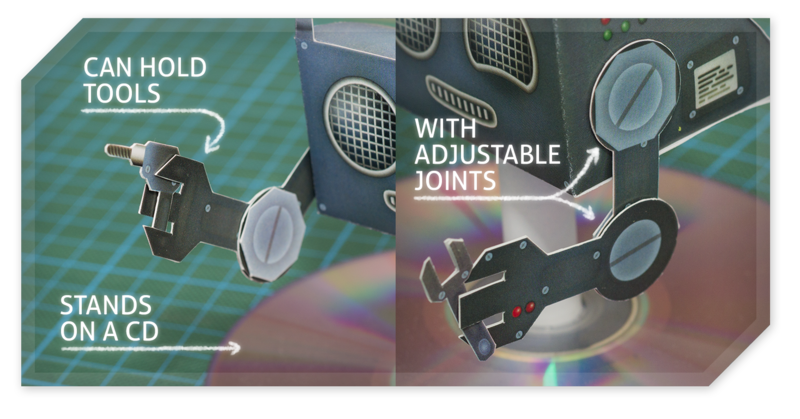 To build your own Robo Buddy you'll also need an old CD as a stand. 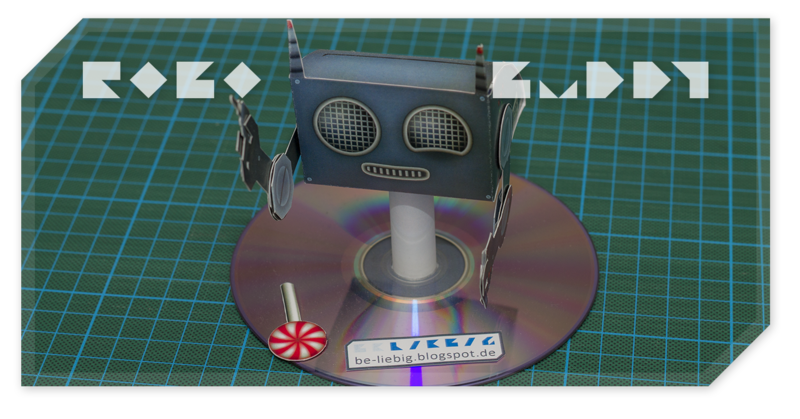 Of course you can use a paper circle instead, but I would recommend a CD, as it gives the model a spacy SiFi look.